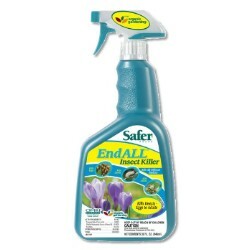 Specially formulated combination of insecticidal soap and aromatics. 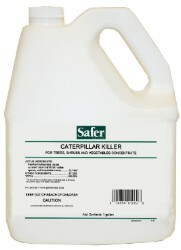 Kills Caterpillars (leaf-feeding). After consuming, caterpillars stop eating and die within a few days. Use in late afternoon or on cloudy days since the BT breaks down in sunlight. Controls tent caterpillars, gypsy moths, cabbage loopers, tomato horn worms, and more. 8 oz. PRECAUTIONARY STATEMENTS: Keep out of reach of children. Hazard to humans and domestic animals. CAUTION: Avoid inhalation or contact with eyes or skin. In case of contact, immediately flush eyes or skin with plenty of water. Get medical attention if irritation persists. 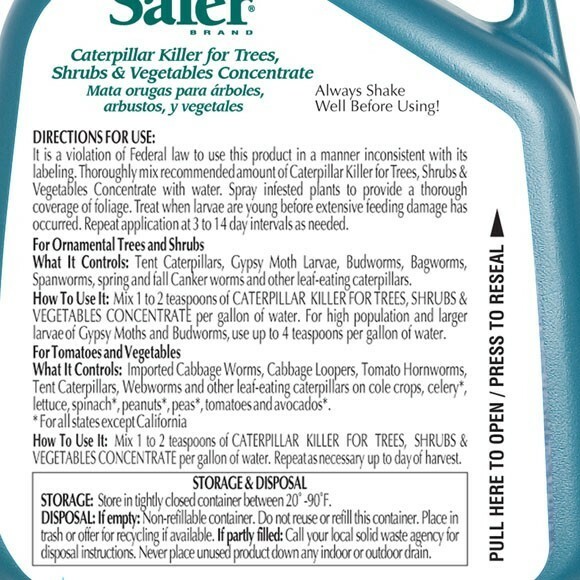 What it is: SAFER Caterpillar Killer is the natural choice for controlling leaf-eating caterpillars. Caterpillars stop feeding shortly after eating foliage sprayed with Caterpillar Killer and die within a few days. Caterpillar Killer does not harm honey bees or beneficial arthropods and does not harm earthworms. For Ornamental Trees and Shrubs What it Controls: Tent Caterpillars, Gypsy Moth Larvae, Budworms, Bagworms, Spanworms, spring and fall Canker worms and other leaf-eating caterpillars. How to Use it: Mix 1 to 2 teaspoons of Caterpillar Killer per gallon of water. 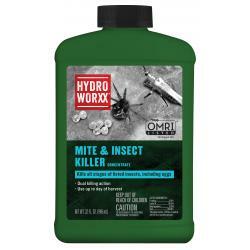 For high population and larger larvae of gypsy moths and budworms, use up to 4 teaspoons per gallon of water. For Tomatoes and Vegetables What it Controls: Imported Cabbage Worms, Cabbage Loopers, Tomato Homworms, Tent Caterpillars, Webworms, and other leaf-eating caterpillars on cole crops, celery*, lettuce, spinach*, peanuts*, peas*, tomatoes and avocados*. 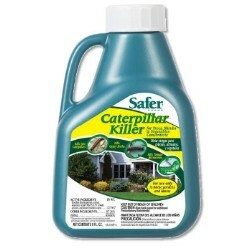 How to Use it: Mix 1 to 2 teaspoons of Caterpillar Killer per gallon of water. Repeat as necessary up to day of harvest. Storage: Store in tightly closed container between 20 to 90 degrees F.
Disposal: To dispose of unused product, securely wrap original container in several layers of newspaper and discard in trash. Do not reuse empty container. Rinse thoroughly before discarding in trash.